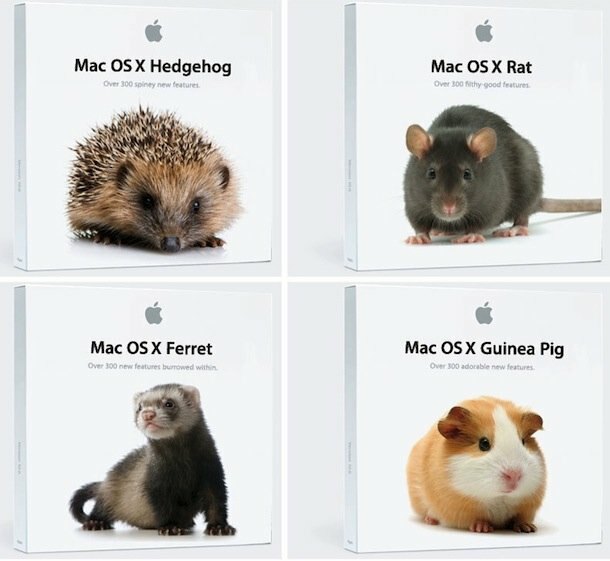 Apparently Apple ran the gamut of the entire animal kingdom while deciding on a creature to brand their new operating system with. After taking a look at some of the options, they finally settled on Mac OS X 10.7 Lion. OK not really, if you’ve followed Apple whatsoever you’ll know they’ve had a cat theme for a while now, but this is a rather funny picture from the Apple joke site Scoopertino. Slow news day, eh fellas? Funny… I always felt like I was the Mac OS X Guinea Pig. Whatever happened to OSX Lolcat? Seriously, Lioness – it has a nicer ring to it and they are the ones that do all the work. The male Lion is a just a big brute.